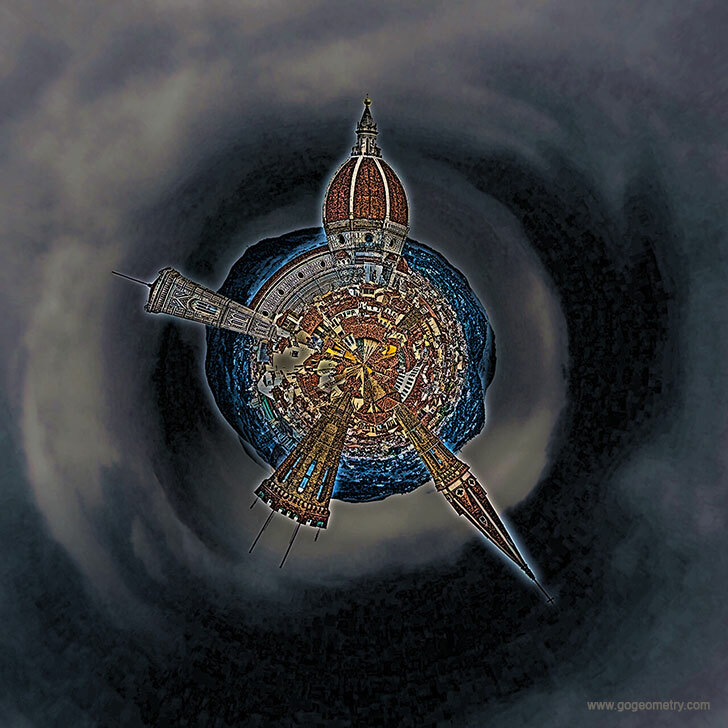 The stereographic projection of Florence is a mapping that projects a plane image of Historic Centre of Florence onto a sphere. Florence , capital city of the Italian region of Tuscany, is considered the birthplace of the Renaissance. The Historic Centre of Florence was declared a World Heritage Site by UNESCO in 1982. Read more: Wikipedia, Florence.